Luther’s critique of the disastrous anthropological consequences of late medieval piety ultimately aims at the right view of God as Saviour, who exchanges his righteousness for his people’s sin. Luther does not begin, like Anselm, with a theoretical consideration of why God should have become a human but proceeds instead from the reality, impact, and sacramental availability of redemption. It is the self-authenticating validity of Christ’s work, with justified humans in turn justifying God (LW 26:233), that presupposes the personal union and the communication of properties between Christ’s divine and human natures. Luther’s soteriological emphasis leads him to begin with the actuality of the communication of properties between the divine and human natures in Christ’s person. Because there is life-giving exchange between C hrist and the sinner, there must also be an exchange of properties between Christ’s natures. Luther firmly believes that nothing less will do if one wishes to do justice to the salvation which Christ accomplished for sin-bound and moribund humanity: “if it cannot be said that God died for us, but only a man, we are lost; but if God’s death and a dead God lie in the balance, his side goes down and ours goes up like a light and empty scale. … God in his own nature cannot die; but now that God and man are united in one person, it is called God’s death when the man dies who is one substance [ein ding] or one person with God” (LW 41:103-4). This is a novel point of departure, in that Luther does not begin with the natures, carefully circumscribing them in separation from each other before bringing them together. Moreover, Luther does not begin with an assertion that the properties of each nature are merely predicated of the other nature by virtue of the personal union. The properties are actually shared and not only verbally ascribed to the other nature. The communication is actual, because Christ is a single person, and it is Christ’s person, as both God and man, who is the agent behind all his works that the natures enable. It is not the natures that do the doing; it is rather the single and actual person. In his eucharistic confession against the Swiss, Luther defends this position: “[The Zwinglians] raise a hue and cry against us, saying that we mingle the two natures into one essence [ein wesen]. This is not true. We do not say that divinity is humanity, or that the divine nature is the human nature, which would be confusing the natures into one essence.” That was actually the error of Schwenckfeld, who taught the complete absorption of Christ’s humanity by his divinity in the state of exaltation. Luther continues: “Rather, we merge the two distinct natures into one single person, and say: God is man and man is God. … But if the works are divided and separated, the person will also have to be separated, since all the doing and suffering are not ascribed to natures but to persons. … Therefore we regard our Lord Christ as God and man in one person, ‘neither confusing the natures nor dividing the person’ (LW 37:212-3). In line with the Chalcedonian tradition, Luther does conceptually distinguish between the two natures, designated by the abstract terms, divinity and humanity. But he also realises that semantic logic, governing the use of these terms, may be as much an obstacle as it is helpful. He writes: “reason wants to be clever here and not tolerate that God should die or have any human characteristics, even though it is used to believing like Nestorius, that Christ [only in a manner of speaking] is God.” Luther turns against much of the medieval tradition with its merely notional understanding of the communicatio and asks: “Who knows how many Nestorians may still be in the papacy?” (LW 41:105). Responding to the argument that the same thing cannot be predicated of both God and man, in the Disputatio de divinitate et humanitate Christi, Luther admits that it is true, but only in philosophy, where “there is no relation between the creature and the Creator, between the finite and the infinite. But we not only establish a relation, but a union of the finite and the infinite” (WA 39II:112). He attacks Aristotle for doing incalculable damage to theology. As Anna Vind argues in her commentary on Luther’s statement, “Christ is … made sin for us metaphorically” (LW 32:200), metaphorical language, with its capacity to assign new meanings, offers to Luther a way of escaping the confines of semantic logic and achieving more clarity of expression. But Luther breaks with the rhetorical principles dating back to Roman antiquity when he rejects that similarity be the basis of metaphor and when he claims that metaphor involves not merely verbal transfer but an actual translatio rerum. This makes metaphorical speech closer to reality than non-metaphorical speech, crippled as the latter is by its internal logic. It also makes metaphorical language the prerogative of God, who through his Word speaks (new and unexpected) reality into being: God became a human being, more than that, sin for us. In addition to the salvific exchange between Christ and the sinner, Luther’s insistence on the reality of the communicatio idiomatum between Christ’s natures (considered not as rigid philosophical concepts but retrospectively through the work of the person) also enabled him to dismiss eucharistic transubstantiation as a constraining and unnecessary philosophical construct based on Aristotelian substance-metaphysics. In The Babylonian Captivity of the Church (1520), Luther articulated his christological principle: “what is true in regard to Christ is also true in regard to the sacrament. In order for the divine nature to dwell in him bodily, it is not necessary for the human nature to be transubstantiated and the divine nature contained under the accidents of the human nature. Both natures are simply there in their entirety… Even though philosophy cannot grasp this, faith grasps it nonetheless” (LW 36:35). Luther applied the same principle in his polemic with Zwingli, this time arguing not for the real presence of the bread and the wine but of Christ’s body and blood in the sacrament. Luther and his followers faced a tremendous challenge when they began to spell out the metaphysical consequences of this realist view of the communicatio, given canonical form in Luther’s statement, “wherever you place God for me, you must also place the humanity for me” (LW 37:219; later cited in Formula concordiae SD VIII.84). Things were exacerbated when the Lutherans began to construct their dogmatic systems and, in doing so, never quite allowed themselves to be influenced in their locus on God, which ordinarily preceded the locus on Christ, by Luther’s emphasis on redemption effected by the God-man Christ (one notable exception was the very first edition of Melanchthon’s Loci). Instead, they resorted to standard metaphysical accounts, thus establishing the parameters for the discussion to follow by means of natural theology and treating divinity as an ontologically fixed category. This posed tremendous problems when it came to divine attributes such as omnipotence and omnipresence. While Luther allowed divine omnipotence to be qualified by the event of God’s death (which later, too, became subject to controversy), for his successors the impact of the hypostatic union on Christ’s divinity, absolutely immutable by definition, was out of the question. What aroused heated debate, instead, was the precise character of the communication from the divine nature to the human, especially the presence of Christ’s body’s and the reality of Christ’s earthly life prior to the resurrection and ascension. 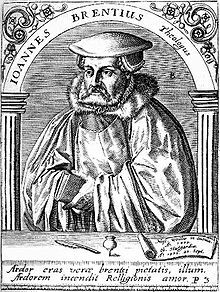 The Swabian theologian, Johannes Brenz, in his treatise De vera maiestate Domini nostri Iesu Christi (1564), argued that heaven was not a spatial realm but was rather the place of God, who is his own place and to whom everything else is present. While this took care of the omnipresence of Christ’s exalted body, insofar as ubiquity meant being above every place, Brenz was less successful in accounting for how this body was therefore capable of being available in particular localities. Chemnitz, on the other hand, in his work, The Two Natures in Christ (1570), made the divine will responsible for the communication of attributes from the divine to the human nature, which introduced a degree of insatiability and threatened the integrity of Christ’s person. In a way, this was a return to a mere supposital understanding of the unio personalis, which Luther had sought to overcome in the scholastic theology he had inherited. But Chemnitz’s conception was, arguably, better suited to a realistic treatment of Christ’s earthly life. The Formula of Concord presents an interesting combination of these two positions. First, in keeping with Luther’s axiom, it affirms that Christ exercises his majesty “in, with and through” his human nature (SD VIII.66). It then tries to make sense of it by applying it to Christ’s life on earth. On the one hand, it states that Christ “possessed this majesty from his conception in the womb of his mother.” He thus had, and never ceased to have, this majesty in consequence of the incarnation, even as he forever retains his human nature. What, then, is one to make of the assertion that, when exalted, he “was installed into the full possession and use of his divine majesty according to his assumed human nature”? This second statement – by trying to do justice to the servant-like character of Christ’s life – seems to imply that the majesty was Christ’s, according to his human nature, only after his exaltation. Further, even if one naturally maintains that Christ was already, in the incarnation, in full possession of the divine majesty, did he simply “keep it secret” or did he actually “empty” himself of it in an act of self-humiliation? (SD VIII.26). That this was a real problem was evidenced by the controversy that erupted in the early seventeenth century between the theological faculties of Giessen and Tübingen. 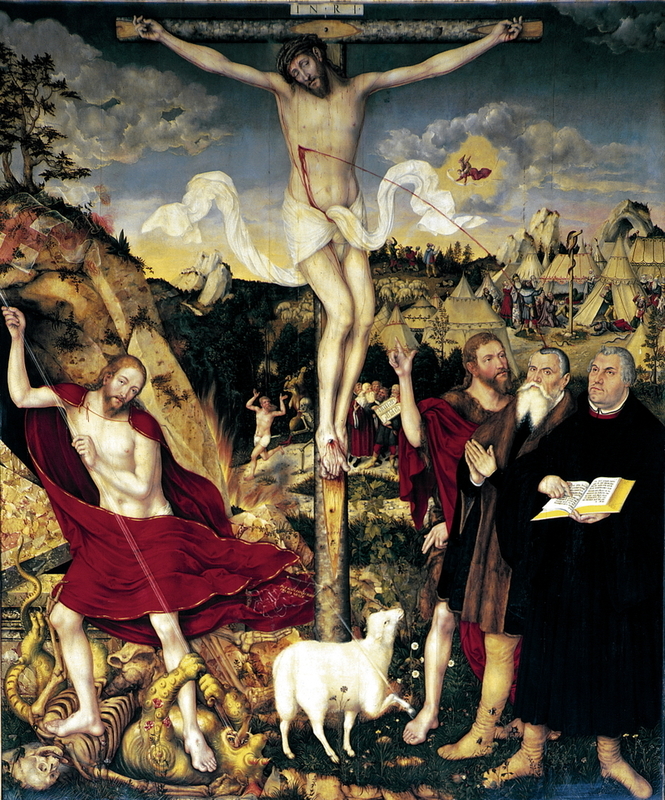 The debated issue was whether, in the state of humiliation, Christ, according to his human nature, participated in the full exercise of the divine attributes and merely hid it, as the Tübingen scholars held; or whether, by assuming the form of a servant, he had surrendered the human nature’s share in the divine majesty altogether, which was the position of the Giessen faculty. The decision rendered at the time (1624) came in favour of Giessen, presumably because of this position’s more historically, narratively dynamic character. However, one wonders whether the view expressed by the Tübingeners was not more consistent with Luther’s christological principles. 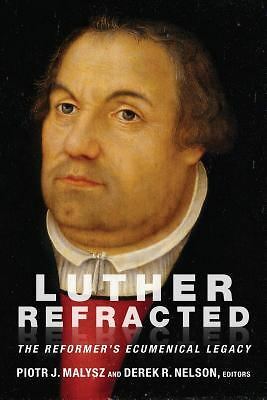 Luther’s successors were fully aware of the radical nature of their Christology, especially vis-à-vis the scholastic tradition, with its carefully laid-out distinctions – although, because of their own metaphysical assumptions, they were also closer to it than they thought. Luther might have regarded scholastic theology as too philosophical and too timid; his successors thought only that it was timid. But this still led them to invest a considerable amount of effort into demonstrating that the communication of divine attributes to Christ’s human nature was, in fact, the teaching of the Bible and had also been taught by the ancient church. The fruit of that effort was the Catalog of Testimonies – a collection of patristic citations, mostly from the Greek fathers – appended to the early editions of the Book of Concord. Excerpted and abridged from: Piotr J. Malysz, “Luther and the Lutherans,” The Oxford Handbook to the Reception History of Christian Theology (Oxford: University Press, 2013), forthcoming. Robert W. Jenson, “Luther’s Contemporary Theological Significance,” Donald K. McKim (ed. ), The Cambridge Companion to Martin Luther (Cambridge: University Press, 2003), 274. Pingback: Reading Notes 1/4/2015 « Theologians, Inc.